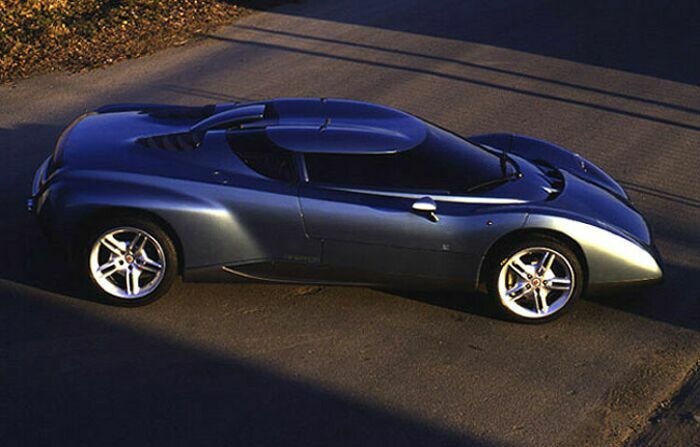 The Zagato Raptor was a Lamborghini Diablo VT based concept car which made its debut at the 1996 Geneva Motor Show. 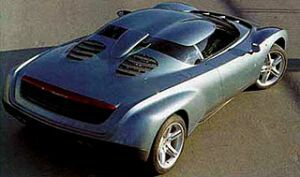 Coming at a time when Lamborghini was dirifting directionless under its Indonesian owners, the Raptor, although a fully working prototype, never became a production reality. 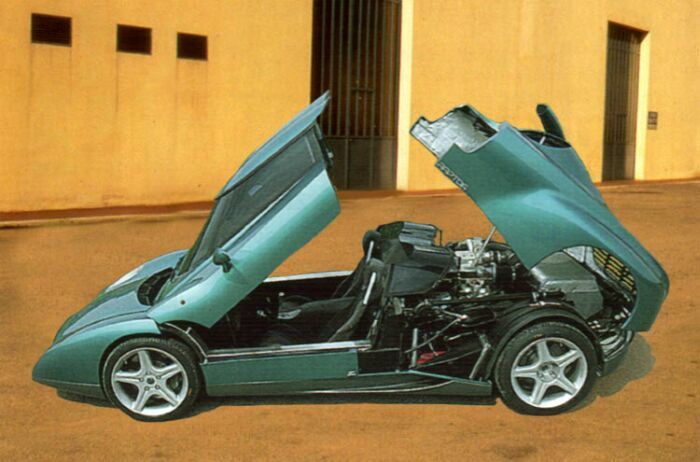 The Raptor which used the Diablo's 5.7-litre V12 engine and featured a single opening section which comprised of the roof, front screen and door apertures, made its debut at the 1996 Geneva Motor Show. 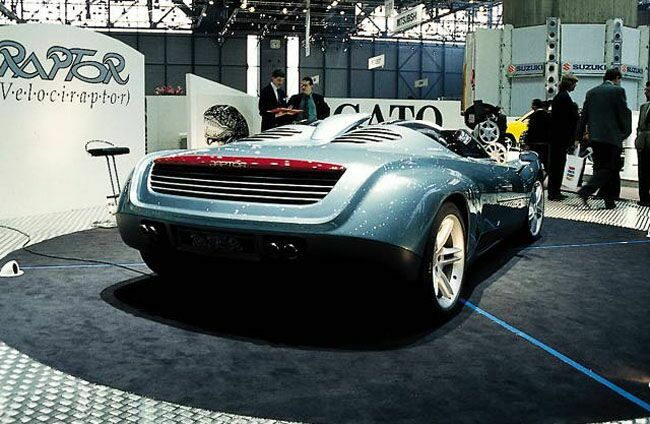 The Zagato Raptor was a Lamborghini powered supercar, redesigned by the renowned Zagato Styling Center in Italy. Zagato's partner, Alain Wicki in association with Automobili Lamborghini SpA, who decided to create the stunning Raptor. The entire front windshield, most of the roof, and the side 'doors' were one part, tilting upwards to allow easy access to the futuristic two-seat alcantara-covered interior. The Raptor made its debut at the 1996 Geneva Motor Show. Zagato used it's then brand new CAD/CAM equipment to develop this stunning prototype in less than four months, without ever building a traditional scale model. The chassis was a tubular box-section unit mounted underneath stylish, aggressive looking bodywork, complemented by a very exciting interior layout. The final exterior styling was created in close partnership between Andrea Zagato, Alain Wicki and Zagato's chief designer Nori Harada. Alain Wicki intended to produce the Raptor in a limited production run of 50 units, and it would sell rather well according to the response at the Geneva Motor Show, rumours state three Raptor's where already sold when the Auto show in Geneva closed it's doors. 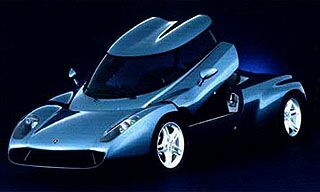 An interesting feature of the Raptor was the ability to convert from coupe to roadster or single-seater race car by just replacing the 'double-bubble' roof, which is a Zagato trademark, with either a two-seater barchetta cover or a special light-weight unit covering the passenger seat to create a mono-posto type race car. Naturally this car was basically a two-seater only, built on a tubular steel chassis with a Carbon Fibre bodywork, and using a Diablo VT engine and drivetrain to offer full four wheel drive. This already powerful V-12 engine was pushed to 620 Bhp on the Raptor by installing a Z-Engineering compressor. It was planned that the compressor was to become an option on the final production car. Since the Raptor, with the closed roof installed, still was about 300 Kg lighter than a standard Diablo VT, it was faster than just about anything on the road at that time. While the interior was very Spartan, it still had airconditioning as standard. But power has to be able to stop, so the Diablo's Brembo brake system was replaced by Alcon calipers on massive disc brakes covered by large 18 inch diameter magnesium alloy wheels. The ABS and traction control systems from the Diablo were discarded, so the Raptor became quite purposeful. Alain Wicki, a former race car driver himself was convinced a system without ABS could slow down a race car much faster than one using an electronic ABS system. The Raptor was shipped to Automobili Lamborghi SpA after the 1996 Geneva Motor Show and several tests were performed with it showing the extremely good driveability and handling. Some time after the Geneva Show, the Raptor was displayed at Pebble Beach, in an event celebrating the Zagato name, after that it returned to the SZ Design centre in Italy. This exclusive 1996 Zagato/Lamborghini Raptor prototype was auctioned by Brooks Europe during the March 2000 Geneva Auto Show. Closing bid for this one-of-a-kind automobile reached 360,000 Swiss Francs (CHF) or $216,371.88 USD. The car was shipped to the United States were it is now located in a private collection. max speed : 330+ km/h. All images and text used on this page are ©LamboCars.com and used with their kind permission. No images or text on this page may be downloaded for private or commercial use. www.lambocars.com is the internet's leading Lamborghini related website.